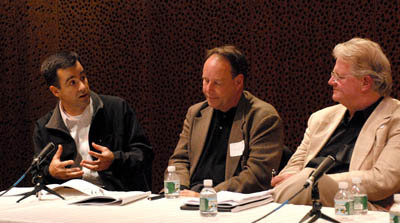 KITE Principal Albert Garcia, AIA was among the featured panelists at the AIA Rhode Island’s Emerging Architects Forum 2009: The Pen vs. 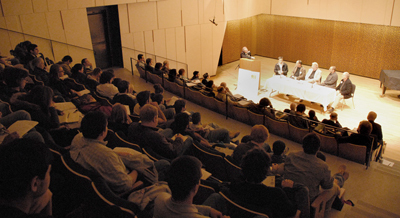 The Layer The Relevance of Hand Drawing in Today’s Workplace on October 29, 2009 at Brown University’s Grant Recital Hall. James Evrard, Assoc. AIA of KITE was instrumental in organizing the panel through his position as Associates Director of AIAri. The well-attended panel discussed the interaction and roles of hand drawings and computer-based tools in both education and practice.